Meetings are held the second Tuesday of every month at 6:30 pm. 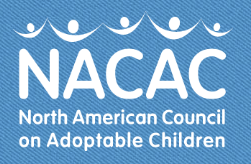 This Teen and Parent Adoption Support Group is hosted by North American Council on Adoptable Children (NACAC). These monthly support groups are for parents and teens who have been adopted. Adoptive parents are provided with a confidential, non-judgmental environment where they can support each other and share resources. Teens are invited to meet other teens who understand what it’s like to be adopted. The teen group is not a “drop-off group” – parent(s) must attend the parent support group. For more information and to RSVP, email Ginny Blade or call her at (651) 646-5082. Transition Longfellow is a group of citizens in the Longfellow neighborhood of Minneapolis who gather to discuss how climate change affects all of our lives. They meet here on the 3rd Friday of each month at 6:00 pm. Learn more at www.transitionlongfellow.org.